On 26 and 27 September, municipal police from Iguala, Guerrero, together with an armed commando group that has yet to be identified, opened fire at several coordinated events against students, athletes, and other civilians, leaving six dead, 25 injured, and more than 50 students disappeared. 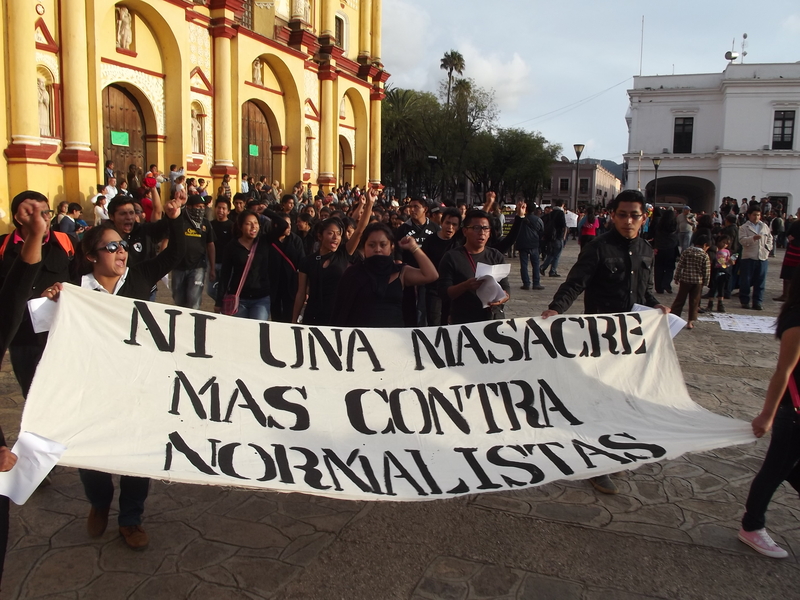 Since the morning of Friday 26 September, close to 150 students from the Rural Normal School of Ayotzinapa had arrived to Iguala to carry out a fundraising activity: they had planned to raise money to finance a march on 2 October, which was the forty-sixth anniversary of the Tlatelolco massacre. Police intercepted the caravan comprised of three buses and two SUVs, demanding that the vehicles stop, but the youth resisted arrested. On Saturday 27 September, the students from Ayotzinapa organized a press-conference at the location of the first police attack. There, they secured the zone using stones to prevent the loss of evidence, particularly the bullet casings left behind by police. The students were speaking with journalists from different media groups when an unknown group suddenly appeared, opening fire with weapons of different calibers. The State Attorney General’s Office of Guerrero has arrested 22 members of the State Preventive Police of Iguala who have been indicated as prime suspects in the crime. On 1 October, though the statistics varied according to the source in question, there were more than 30 persons who continued to be disappeared. 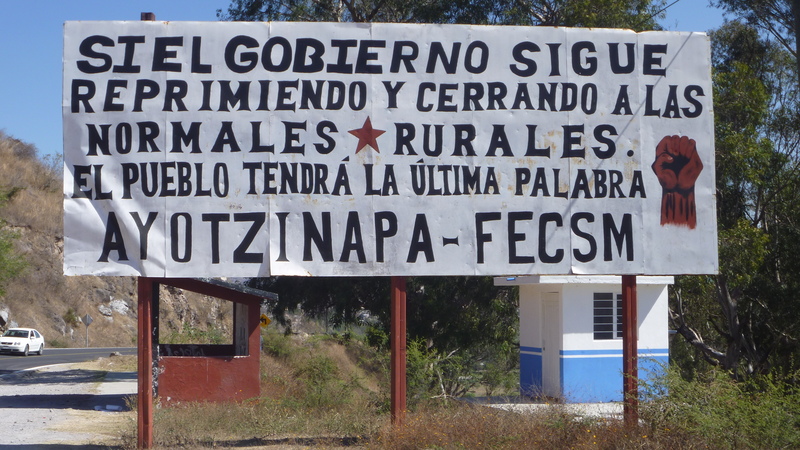 At the same time, it was reported that the PRD mayor of Iguala, José Luis Abarca Velázquez, had also disappeared after having received authorization to investigate the crimes. 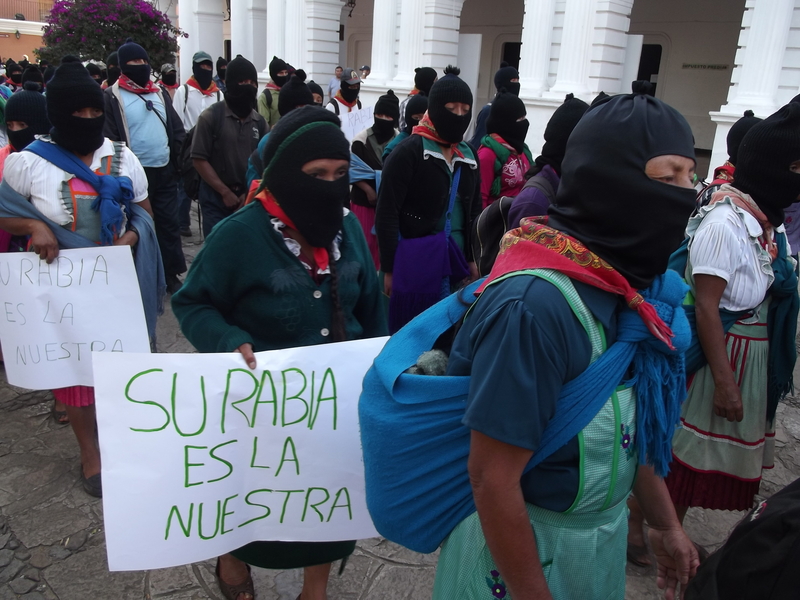 On 21 March, the State Preventive Police (PEP) proceeded to displace the normalists from the State Coordination for Education in Oaxaca (CNEO) who had installed themselves in front of the State Institute for Public Education (IEEPO), thus protesting in defense of education in Oaxaca. The PEP used tear gas while the normalists responded with small rockets. The outcome was that 162 were arrested, with 25 normalists and 3 journalists injured, as well as a vehicle set to fire.